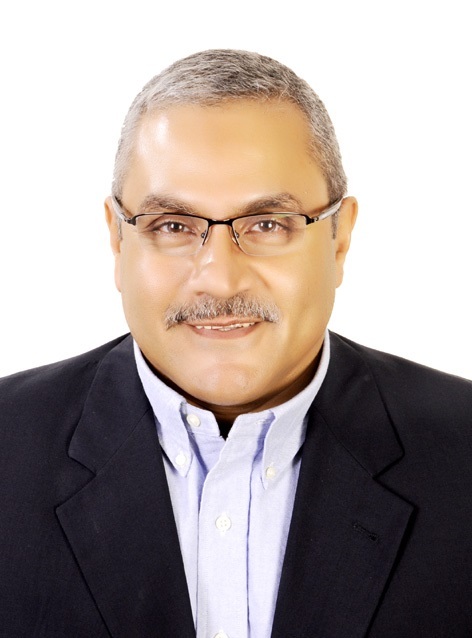 Ashraf Abdelwahab is a full professor of computer engineering, Electronics Research Institute (ERI), Cairo, Egypt. He received his M. Sc. in 1988, Faculty of Engineering, Cairo University in Artificial Intelligence, and in 1992 he received his Ph.D. in Machine Learning and Evolutionary Algorithms. Beside his research activities, Dr. Abdelwahab used to teach Computer Science courses in Egyptian and American universities. Abdelwahab was a member of the E-government Initiative team since its launch in 2001 managing back-office applications, and ICT4D projects. In August 2006, he was appointed as the Deputy to the Minister of State for Administrative Development (MSAD), responsible of supervising, monitoring and coordinating E-government and organizational development initiatives. In March 2011 and till August 2012, he was appointed as Acting Minister, MSAD. Abdelwahab supervised the implementation of many national projects, like: Family Database and Family Smart Card, Quality of Government services, and his latest achievement was the IT infrastructure for the Elections Processes. Dr. Abdelwahab joined Microsoft in December 2012 as the Corporate Affairs Manager, Egypt & North Africa, and starting September 2014 he moved to Dubai as the Corporate Affairs Director for Egypt and Gulf. Recently, he has been appointed as Chief Technology Officer (CTO) 4Afrika initiative, based in Cairo. This talk focuses on new technologies that are currently changing our world, creating new business models, and revamping existing services. Digital Transformation is not just a new way to organize your data, it is more of a new vision to your world. IoT, Machine Learning and AI tools, Blockchain, and more are new platforms that will change the world around us in the coming few years. This transformation (like any revolution) should be accompanied by new, policies, regulations and competencies to make it happen without affecting the citizen’s privacy and security. I’ll touch on these aspects of the DT revolution as part of my presentation.